Communities that are located at coastal regions, most of the time, are seafood fans by birth ;). So they have variety of recipes to cook seafood and satisfy their taste buds. There are so many recipes on the internet with this combination of prawns and raw mango since it is being prepared in Goa as well as southern parts of India. I was born and brought up in a coastal region of India, in Palghar district to be specific. In our region too, this combination is very popular. But it was disheartening to see that it has not yet reached out to people. So, I thought why not start it from my blog? Now you might be wondering, what this hush-hush is all about. 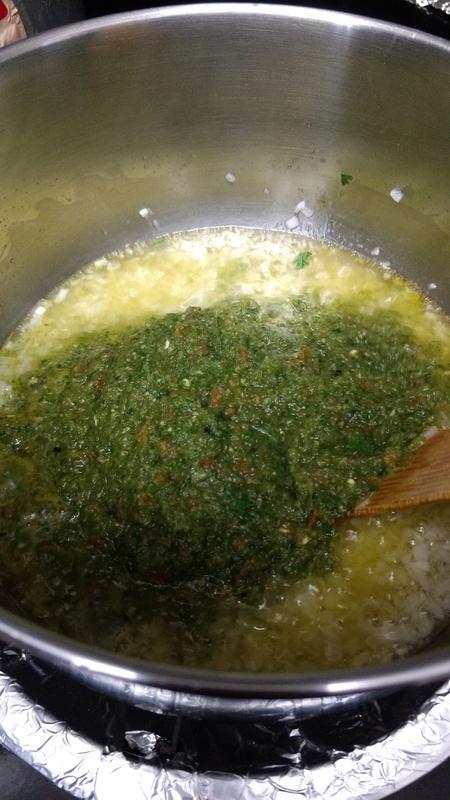 When I was going through the recipes available on the internet, all of them included coconut and coconut milk, another specialty of the coastal region. But this recipe, which belongs to my native place, does not include coconut or coconut mik and still tastes delicious. We call it Aamkhandi or Kairi-kolambi in our native language. Grind tomatoes, coriander, garlic, ginger, and chilies together to a fine paste. Now heat oil in a pot and add chopped onion. 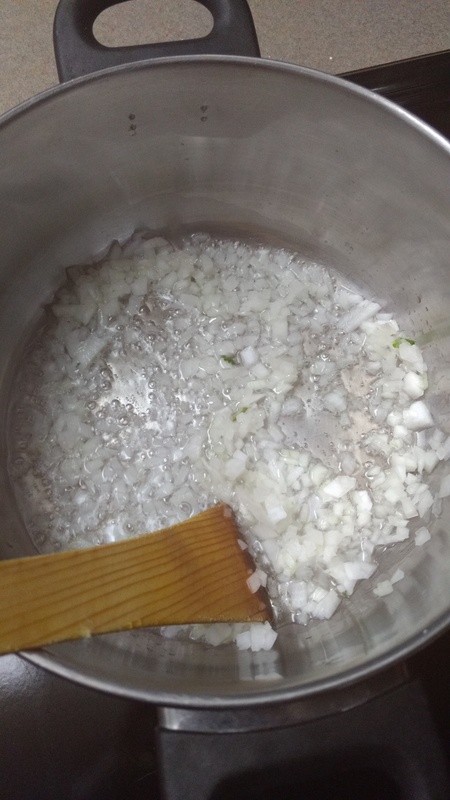 Once onion starts becoming translucent, add ground paste to it and sauté on high flame so that excess water will evaporate and everything will blend well. 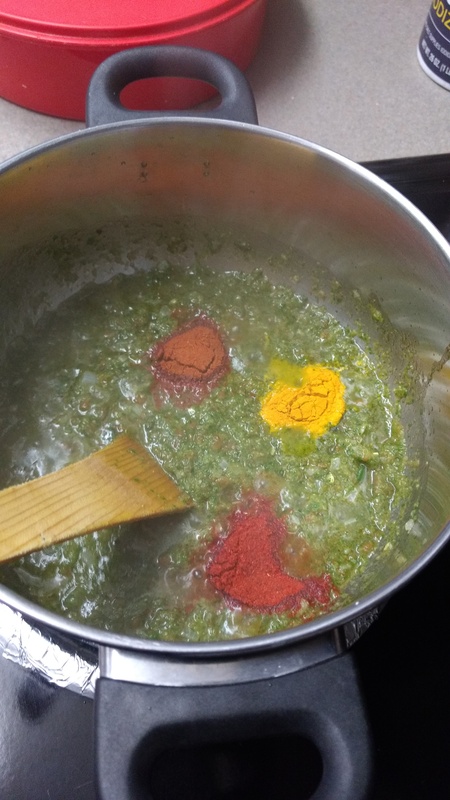 Now add turmeric, chili powder, curry masala and salt. Mix it well. 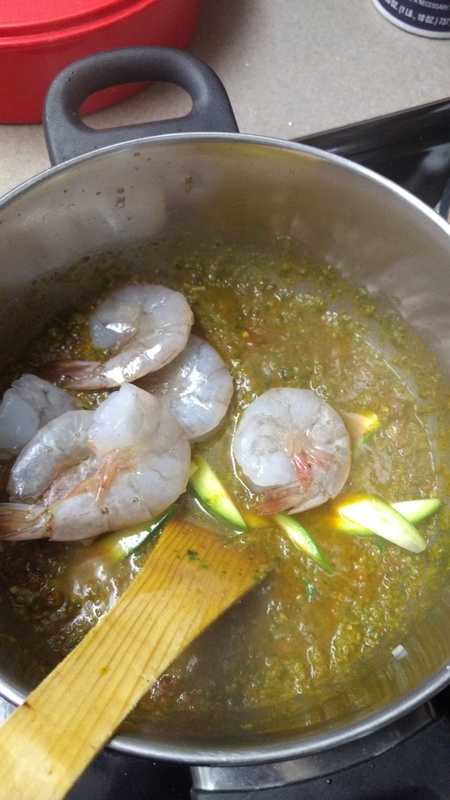 Add shrimps and slices of raw mango. On low flame cook for 8-10 minutes. Keep lid on pot. Let it cook on steam. Do not add water. Serve hot on top of rice. P.S. If you do not have lid to keep on pot. Simply put a metal plate on it and add some water to the plate. This will help avoid the curry from getting burnt at the bottom. This entry was posted in Main Dish and tagged curry, food, foodblog, indian, konkani, mango, prawns. Bookmark the permalink. Hey that’s a good recipe. I will surely try this one! Thanks for sharing! This is one of my favorite prawn dishes. At my in laws place Vasai, it is called Amboshi. In that, little grinded coconut and jaggery is added at the end which gives it nice orange color and that yummy “Ambat god” taste.